Home / Brighton Ngoma / Celebrity / Brighton Ngoma On Why He Didn’t Speak At His Friend Dumi’s Memorial! Brighton Ngoma On Why He Didn’t Speak At His Friend Dumi’s Memorial! Brighton Ngoma On Why He Didn’t Speak At His Friend Dumi’s Memorial! 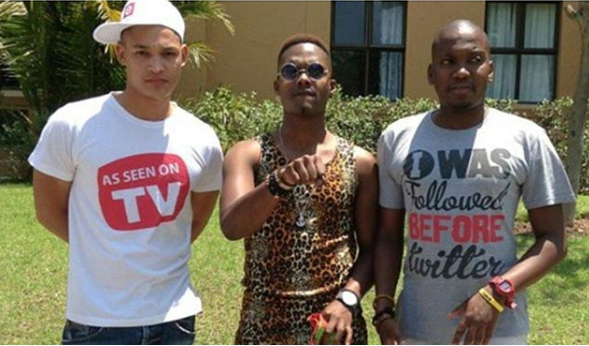 While Dumi Masilela’s industry friends dominated his memorial service, Scandal actor Brighton Ngoma who was also good friends with Dumi took a step back and now he’s sharing why. Ngoma said it became too much for him and “political” so he decided to not speak despite being on the programme. “I was on the programme but I didn’t speak because I couldn’t. At the time I didn’t understand the impact he had on his community and I didn’t appreciate that it was such a huge media thing and that people were going up on stage and speaking, and it became sort of political thing. I didn’t want to be a part of that so I decided to just be there and pay my respects in my own way,” he told TshisaLIVE. He admmitted that it took Dumi’s death for to realize how much of a great friend he had.